The QBOX MOD by SMOK is a pocket-size mod which can suit most 510 thread subohm tank, especially the TFV8 baby tank. 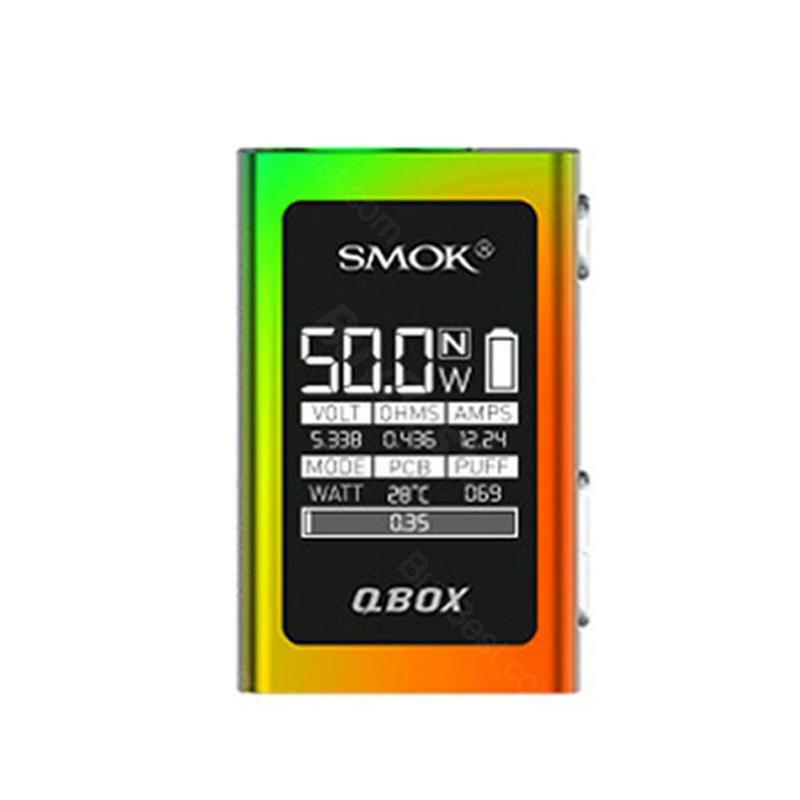 The QBOX has 1600mAh built-in battery for max 50W power. The QBOX MOD by SMOK is a pocket-size mod which can suit most 510 thread subohm tank, especially the TFV8 baby tank. The QBOX has 1600mAh built-in battery for max 50W power. Though it is small, its 0.9 inch OLED screen will show all the status clearly while using. If you are not a fan of putting a big mod in your pocket, then QBOX will be perfect for you. It can easily fit in your pocket or purse, and not gonna weigh you down. SMOK has designed this TC MOD as small as it can get but not being an odd mod at the same time. BuyBest is presenting you the Purple, Gold, Black and Silver color now. At first glance, everything is fine. Smoking has not yet tried. In the box is a complete set. Super. Delivery is fast. Ordered 01.12 in the kirov region came 13.12. Die Powermatic Mini Handstopfmaschöne ist beste als ich bis jetzt gakauft habe. Die teure maschönen sind nicht so gut wie SMOK QBOX. Very good box mod!! That's what i need and want!! Thanks SMOK, thanks buybest!